*Acted and danced in the popular Telugu devotional movie “Ayyappa Swamy Mahatyam” in 1989. 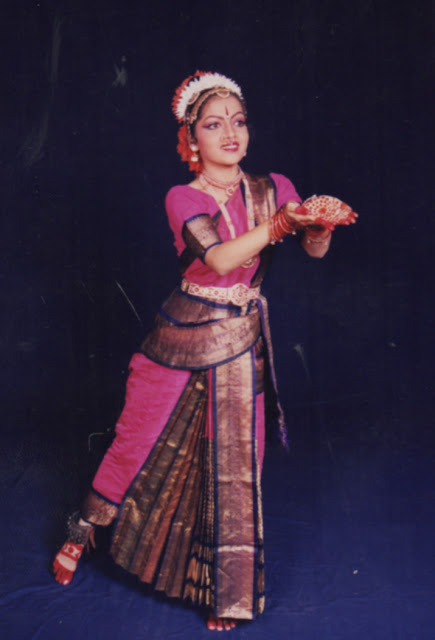 *Received critical acclaim when I performed the role of “Puttadi Bomma Purnamma”, a dance ballet composed by Dr. Shobha Naidu. It is based on a very famous play written by Telugu literature’s greatest playwright and social reformer Gurazada Apparao. *Acted as Sita alongside Dr. Shobha Naidu in Jagadanandakaraka, which is an ingenious portrayal of epic Ramayana in Kuchipudi style. *Founded “Abhinaya Kuchipudi Art Academy” in Gachibowli, Hyderabad. One of her students, K. Sahithi received the prestigious CCRT Dance Scholarship from Govt. Of India. "View another PriyaLasya Artist Space"